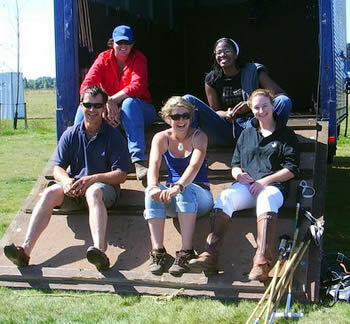 Gap Year Polo in New Zealand is a great opportunity for students to improve their polo and to expand their horizons. 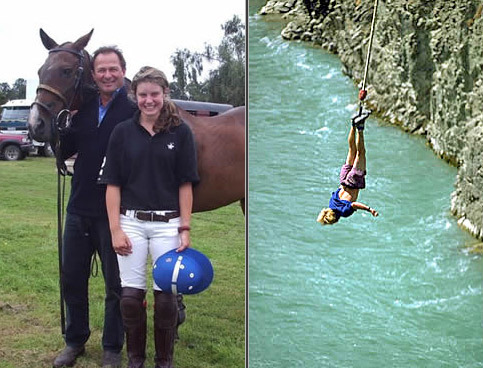 Gap Year students travel to our school in New Zealand each season for summer polo. Jodi (Aus), Thandi (SA), Matt (Eng), Bess (Eng), and Gala (SA) have some fun. My wife and I love having the Gap Year students around. From a polo point of view, they’re eager to learn and improve their play. The growth in their game over a couple of months can be phenomenal. From a personal point of view, it’s great to see them settle into our home, quickly meet new friends, and begin to grow as people. 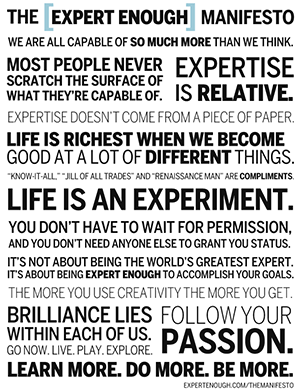 The polo school is just 15 minutes outside Christchurch, a city of 300,000 people. Christchurch is the hub of the South Island, offering a wide variety of services, entertainment, and nightlife. During the New Zealand summer, the country is full of like-minded young people intent on exploring our slice of the world. New Zealand is a friendly, safe country, with a low crime rate, and free of the unrest that has plagued some parts of the globe. Bess, Gala, Michael with Foxy, Champion Pony of the Tournament, during their stay. Stick and balling on the beach (only minutes from the school). Quality accommodation in a home environment right beside the school. A southern hemisphere summer at the height of a northern winter! A great country right at their doorstep to explore. Please contact if you’re interested. Gap Year Polo students will find New Zealand to be the perfect destination. Not only can we offer world-class polo tuition, and chukkas and games, but right at our backdoor is an adventure playground offering almost every kind of entertainment possible. Your trip to New Zealand during your gap year would not be complete without seeing some of the country – and there’s a lot to see. Where else can you play polo in the morning, and then leap off a bridge in the afternoon? Maybe bungy jumping isn’t your thing … don’t worry – there’s plenty more to see and do! Ed and Bess share a laugh.